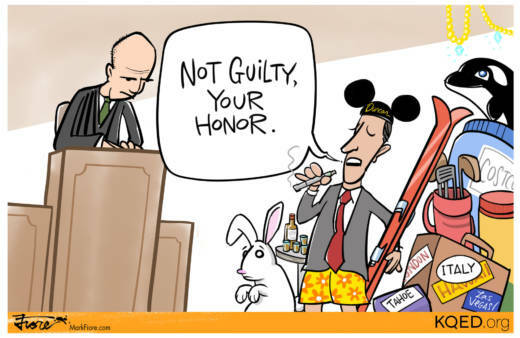 From "Hawaii shorts" to gifts at Disneyland, Rep. Duncan Hunter and his wife pleaded not guilty to using over $250,000 in campaign funds for personal use. The 60-count indictment offered a detailed look into spending that ranged from lavish to mundane. Hunter, internet-famous for vaping during a committee meeting, is charged with using campaign funds for everything from a family vacation to Italy to oral surgery. Even the family rabbit's $600 air travel has been in the spotlight in what a spokesman called "in-cabin rabbit transport fees."